If you have ever wondered what the term aging in place means, you are not alone. 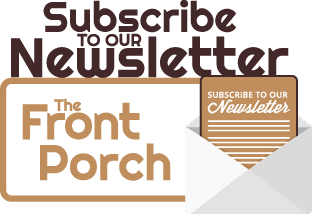 Aging in Place, or Universal Design, is a term used in home remodeling that describes a concept that is designed to keep a person living in the residence of their choice for as long as they are able, while they age. It is important to understand aging in place, or a universal design, can be used at any time, and that these design concepts are not meant to transform your home into a hospital or nursing type facility, but to just help make the home more accessible and convenient for the aging party. The idea is to improve the quality of life while allowing them to still live in the home they love and feel most comfortable in. Aging in place features can be installed in multiple areas of the home including the common areas, the kitchen, and/or the bathrooms. Here are some ideas for these specific areas of the home that may help you better understand the concept of aging in place, and how your home can be transformed. When it comes to the accessibility within the common areas of your home, moving around, and functionality, are big areas to focus on. So how can you create easier access throughout the home? Door handles and locks – Doorknobs can be difficult for achy hands to grasp and turn and require more force. You may want to consider lever handles as they make operation much easier. As far as locks go, for your entry doors, consider push-button locks to allow for easy locking and avoid fumbling with keys. 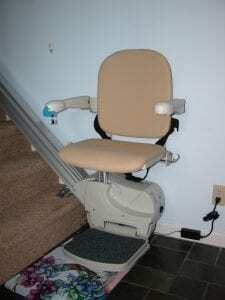 Smooth transitions – Transition between rooms are a very common challenge for the elderly. Use smooth, low-profile thresholds to ease transitions between different types of flooring, such as hardwood to tile. Also, try removing threshold areas to allow barrier-free entry and exiting from the room. Switch and outlet heights -When considering accessibility for homeowners with limited mobility or reach, a lowered light switch and/or outlet can offer unexpected convenience. Small things like this may become an added stressor for your mom or dad as they age and need to rely on you for more. Feeling like they can do these small tasks on their own can go a long way in raising moral and aiding in their comfort. Non-skid flooring – Falling is so common in the elderly, and it can be extremely dangerous. Installing non-skid flooring can provides a safe environment for not only for the aging party, but also children. Storing pots, pans, and foodstuffs in cabinets, and using faucets and stoves translates into lots of reaching and bending around when in the kitchen. But, there are some ways to make access easier. Raised base cabinets – Taller toe-kicks help raise base cabinetry off the floor for easier access that involves less bending. Additionally, setting toe-kicks back a few inches allows space for wheelchair foot rests. To help create a more convenient operation of dishwashers, microwaves, or wall ovens, you may want to try raising appliance boxes to specific heights that work best. Drawers and pull-outs – Even able-bodied homeowners hate to dig for items that get pushed to the back of their cabinets. Pull-out cabinetry, slide-out shelves, lazy susans, and other organizational solutions help bring items to the user, eliminating difficult reaching. Pull-out work surfaces – Like pull-out draws, pull-out work surfaces are also helpful in eliminating unnecessary work. Specifically, for wheelchair users, being able to access a work space designed for seated use and with knee space underneath is key. Look for cabinetry that incorporates pull-out cutting boards. Kitchen designs should feature different countertop heights for users with different needs. Table-style islands and peninsulas (with only legs, and no cabinets beneath), also allow for roll-up access. Knobs and handles – Single-lever sink faucets, as well as pulls for cabinets and draws rather than knobs can aid in an easier grip. For sinks, try censored water for the most convenient use. Range and cooktop controls – It is very important to make sure that access to these controls is located in a place that does to not require reaching across burners. This could potentially lead to very dangerous accidents. 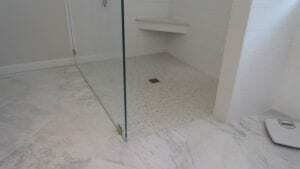 Many aging in place designs start in the bathroom. Although these changes can be the most noticeable, they do not have to be unappealing. Grab bars and rails – These aging-in-place standards need not be institutional. Many manufacturers offer sturdy models with stylish detailing that can coordinate with any bathroom décor. Some manufacturers also offer full universal-design showers with aesthetically-appealing grab bars built in. Comfort-height toilets -Whether the concern is being able to transfer someone from a wheelchair to the toilet, or simply being able to get up easier after use, toilets with a seat between 16 and 17 inches above the floor work best for universal design. Also, wall-hung toilets can add convenience by keeping the floor surface clear and aid in making cleaning easier. Curbless Shower – As mentioned earlier, falling is a huge concern for aging family members that can, and often does, lead to severe injury. Climbing into a shower can be very difficult for an individual with limited mobility. 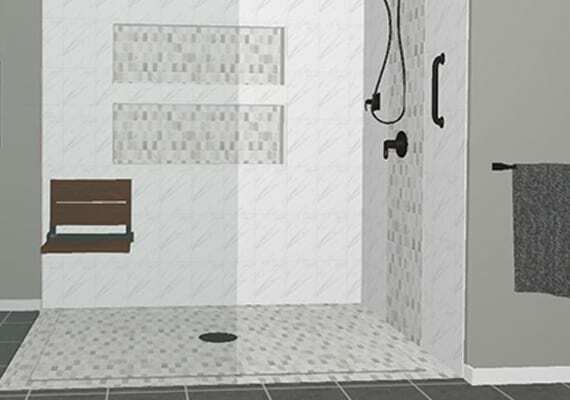 The most important feature of a curbless walk shower is that it does not present an accessibility challenge because there is no step up. Also, like wall-hung toilets, when the shower floor is aligned and flush with the rest of the bathroom, cleaning is easier! When it comes to finding a safe home for an aging family member, it is so common for the family member to become upset by the idea of having to leave their home. Aging in place is a great way to create a safe place for your mom, dad or any other aging relative to live, without having to leave the comfort of their home, ultimately creating a greater quality of life. When working with a design/build remodeling company to do this, it is important to make sure that they are certified in aging in place. This certification through NAHB gives them the knowledge of how to incorporate these concepts into your home remodeling design. When working with a company such as DBS Remodel, you can feel comfortable and confident discussing all of your options for a universal design. We can help you imagine your remodel, and understand that these accessibility and safety updates will not harm the esthetic or resale value of your home. But most importantly, understand that aging in place can allow for the most comfort and happiness during an otherwise challenging time.